Yesterday, I spent over two hours in the enjoyable company of Dr Heleen Plaisier, looking at an amazing collection of seaweed. Margaret Gatty's collection was donated to the University of St Andrews by her daughter in 1907. I am indebted to Dr Plaisier for her time, and to James Hearsum, Executive Director of St Andrews Botanic Garden for facilitating my visit to the garden, where the collection is now housed. 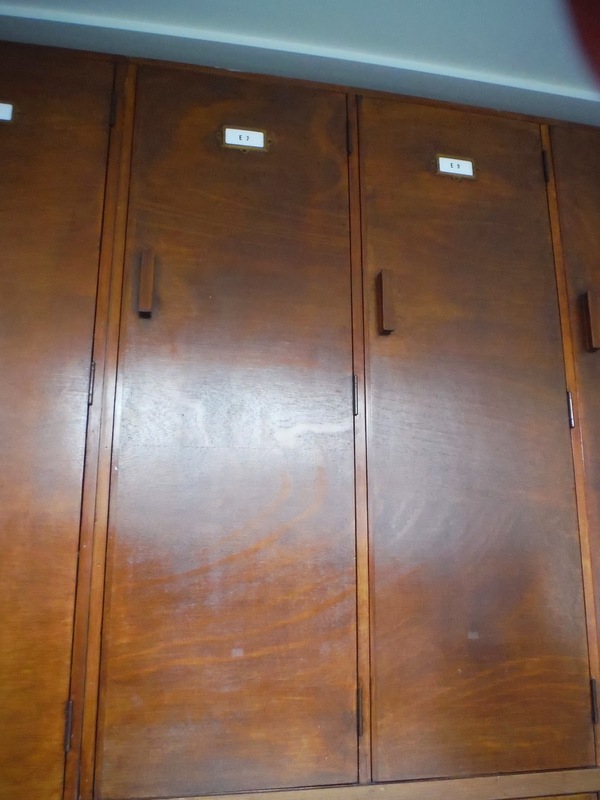 It was originally kept in the Gatty Marine Laboratory named after a relative of Mrs Gatty's husband, Alfred. I am a graduate of the University of St Andrews and if truth be known, I was somewhat fascinated by Margaret Gatty because my psychology practicals took place in The Gatty Marine Laboratory. Back in the late 70s and early 80s, I cared little about whom the Lab was named after. I was completely unaware of one, Mrs Alfred Gatty. Nowadays, I laugh wryly as I type phycology into my MacBook Pro and it kindly suggests that I'd prefer the word psychology. My winter, student psychology memories are mingled with wind, rain, sea spray and a coastal path lit by students smoking cigarettes. The wind was often bitterly cold and the best plot was to spend as little time along the East Sands as possible. Getting back to hall in the town of the red gown was the priority. Summer memories are more relaxed. At that time, I had no interest in any slimy seaweed, be it red, green or brown. As for the tides, I didn't notice them, although I suspect I preferred a low tide because then, the roaring, angry waves were further away.The influence of the moon, spring and neap tides and a time to harvest seaweed were of little importance. Margaret Gatty was the wife of a vicar, as for some reason many Victorian phycologists seem to have been. She developed her interest in seaweed, whilst convalescing in Hastings, where she was given William Harvey's Phycologia Britannia to read by her doctor. Over the years, her seaweed collection was added to by friends, and there were interesting additions from missionaries returning from overseas. Gatty's reputation grew after the publication of her book in 1863 and as a direct consequence, so did her seaweed collection. Margaret Gatty mounted her seaweeds with care. She attached a red ribbon to red seaweeds Rhodophyta , a brown ribbon to brown seaweeds Phaeophyceae, and a green, to the green group Chlorophyta. 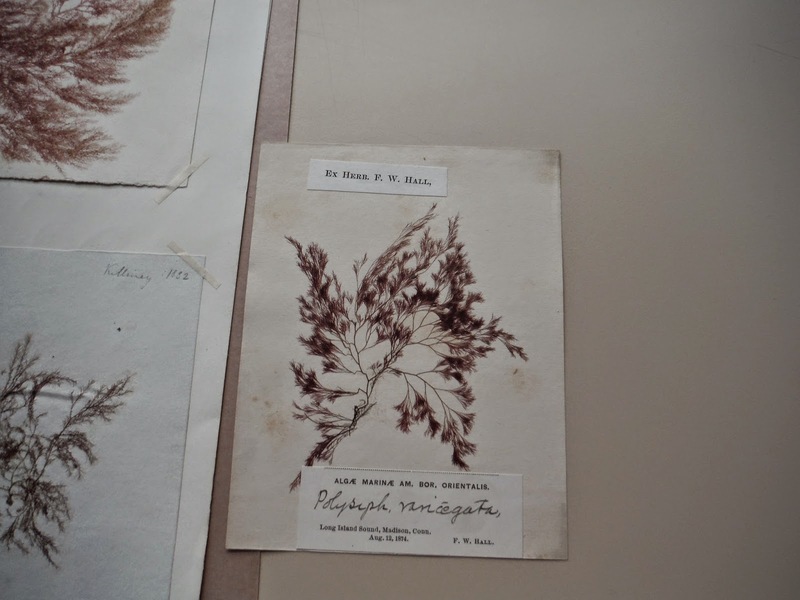 There are also seaweeds collected by Amelia Griffiths, and many others in this collection. 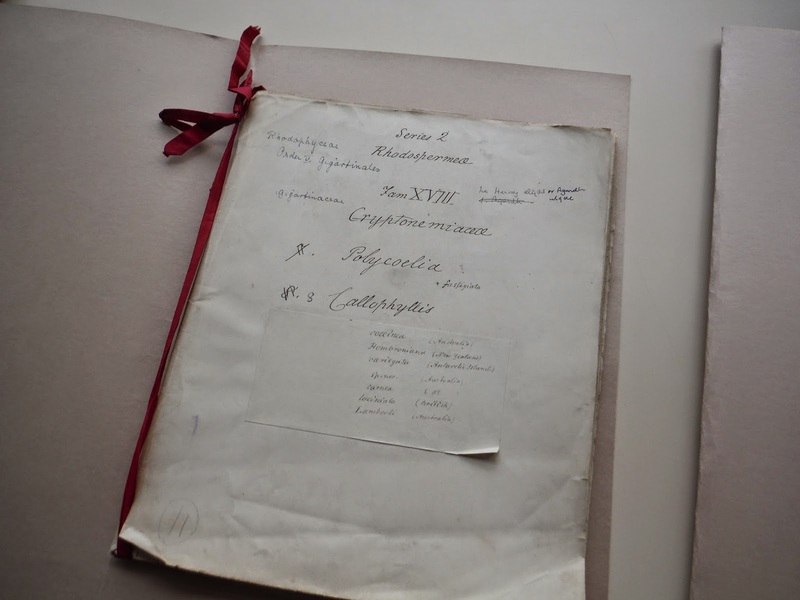 Dr Plaisier has taken over curation from work by Helen Blackler (1902-81), who was in the department of Botany at St Andrews, from 1947 until her death.The collection has not be worked upon in the interim.There are over 8,825 specimens some of which have been mounted in albums on herbarium sheets by Dr Blackler. Dr Plaisier is continuing this work but to my amateur eye, it will take some time. Identification involves deciphering hand writing too; be it Mrs Gatty's, her daughter, Horatia's, notes from the original collector or the pen of Dr Blackler. 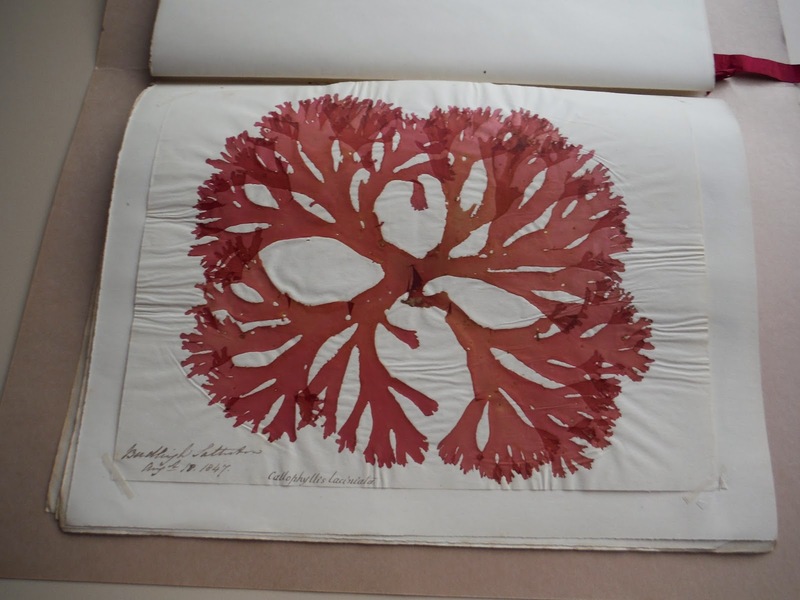 The seaweeds are simply stunning and I hope that Dr Plaisier receives funding to complete the task as swiftly as possible; to enable others to view this magnificent Victorian seaweed collection.